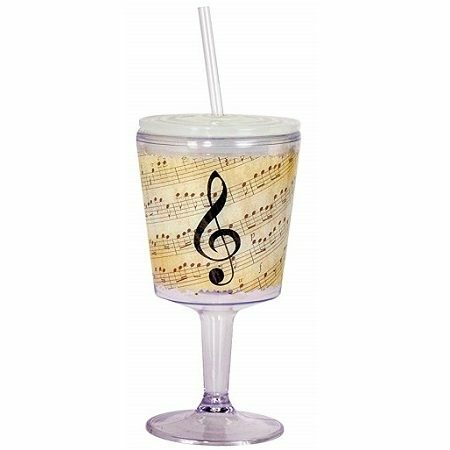 Music Notes Goblet – Quench your thirst in style with this truly unique cup! The double walled Music Notes Goblet is Eco-friendly and reusable. The goblet features a classy music note themed design and comes with a straw. A cool gift that belongs in the kitchen of every musician. Removable lid. BPA free. 7.25″ H.